Sometimes an ending is also a beginning. Around 6:30 a.m. on Feb. 2, 2006, firetrucks from across Napa Valley raced to the Oakville, Calif., site of Silver Oak Cellars, one of the region’s oldest and most celebrated boutique wineries. Smoldering fireplace ashes discarded in a nearby dumpster had caught fire sometime before sunrise, and the flames soon engulfed Bonny’s Chai, the 7,000-square-foot erstwhile dairy barn that served as Silver Oak’s original winemaking facility in 1972, the year Ray Duncan and Justin Meyer began crafting the first vintage of their signature cabernet sauvignon. No lives were lost in the blaze, but the historic Bonny’s Chai was destroyed. The fire also claimed about 70 barrels of Silver Oak’s 2004 Napa Valley Cabernet, valued at roughly $2 million, and caused heat and smoke damage to other buildings on the property. 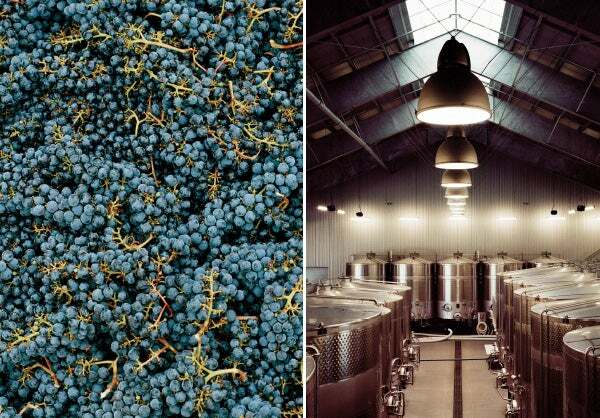 Cabernet sauvignon grapes are fermented in new stainless-steel tanks, ensuring sterility. Silver Oak didn’t simply start over, however. It seized the opportunity to rethink both the art and business of winemaking, blending its time-tested oenological principles and processes with cutting-edge technologies, analytics-driven insights and sustainable philosophies -- in essence, bridging the gap between Napa Valley and Silicon Valley, its neighbor less than 100 miles to the south. Seven years removed from the grand opening of the reconstructed Oakville facility, Silver Oak remains both an institution and an innovator. While consumer support for its supple, food-friendly cabernets has never wavered over time -- Silver Oak consistently places among the top 10 on Wine & Spirits magazine’s annual countdown of bestselling restaurant wines -- David Duncan says the company is currently producing the richest, most nuanced wines in its 43-year history. He credits the creative renaissance to the state-of-the-art Oakville winery as well as digital advances translating to healthier, more bountiful vineyards and superior grapes. So now Silver Oak is doing it all again, leveraging the lessons it learned in Oakville to build an even more forward-thinking site in Sonoma County’s Alexander Valley, on the grounds of the former Sausal Vineyard and Winery, which the Duncan family acquired in 2012. Duncan says the new winery, scheduled to open in 2017, will incorporate alternative energy sources, water-reuse solutions, reclaimed building materials and other ecologically progressive elements coming together to produce wine in greater harmony with the earth. Winemaking isn’t the world’s oldest profession, but it’s damn close. Villagers in Jiahu, located in northern China’s Yellow River Basin, produced the world’s oldest known fermented beverage -- a rice wine made with beeswax and wild grapes or hawthorn berries -- as far back as 7,000 B.C., and in 2011, archaeologists unearthed the earliest known winery in an Armenian mountain cavern. The site, dating back about 6,100 years, housed a large basin for treading grapes, as well as fermentation jars and the remains of crushed fruit, leaves and vines. The history of California wine begins in 1769, when Father Junípero Serra, a Franciscan missionary, established the state’s first vineyard in San Diego. California wines were produced for sacramental purposes before businessman Jean-Louis Vignes established the Golden State’s first commercial winery, El Aliso, in 1833 in Los Angeles; other pioneering California wine entrepreneurs include Agoston Haraszthy, General Mariano Guadalupe Vallejo and Charles Krug, famed for launching Napa Valley’s first commercial winery in 1861. Collectively these vintners were generating between 19 million and 35 million gallons annually by the 1890s. Prohibition, enacted in early 1920, derailed the American wine industry for decades. The ranks of commercial wineries across the U.S. plummeted from more than 2,500 before Prohibition went into effect to fewer than 100 by 1933, when lawmakers passed the 21st Amendment, repealing the law. Even by 1960, there were fewer than 300 commercial wineries nationwide; California, which had 713 bonded wineries before Prohibition, did not return to that level until 1986. Despite a combination of climatic, geographical and geological factors creating a singularly hospitable environment for growing premium wine grapes, Napa Valley boasted only about 25 wineries as late as the mid-1960s, with a local focus on low-grade jug wine. The Robert Mondavi Winery, the first major winery built in Napa during the post-Prohibition era, opened in 1966 in Oakville and radically reshaped the landscape, creating an array of top-quality, top-dollar varietals that proved the region could produce wines to rival the finest European exports. 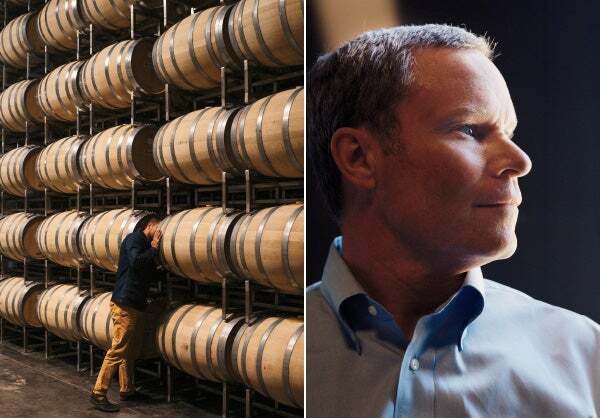 The wine ages for two years in American oak barrels, then spends 15 to 20 months more in bottles; executive VP Tim Duncan oversees sales. Ray Duncan, founder of Denver-based oil and gas exploration firm Duncan Oil Inc., as well as the Durango Ski Corp. and Purgatory Ski Resort, began acquiring land in the Napa and Alexander valleys in the early 1970s. Duncan originally planned to plant vineyards and sell grapes, but he opted to enter the wine business after befriending Justin Meyer, the former apprentice to Brother Timothy Diener, the legendary vintner at Napa’s Christian Brothers winery. Duncan and Meyer agreed to devote all their resources to creating a single varietal: cabernet sauvignon aged for two years in American oak barrels and an additional 15 to 20 months in bottles, making each vintage drinkable upon commercial release. Silver Oak -- so named in honor of Oakville and the Silverado Trail, the scenic route stretching 29 miles along Napa Valley’s eastern edge -- produced 1,100 cases of its first vintage, the 1972 North Coast Cabernet Sauvignon, created from grapes harvested in its Alexander Valley vineyard. Luscious and silky-smooth, informed by the strong, sweet flavors and aromas synonymous with American oak aging, it was released to the public in 1977 at the bargain price of $6 per bottle. Silver Oak’s entry into the market coincided with a tectonic shift in the global wine culture. While domestic sales of California wines increased steadily throughout the 1970s, international experts and enthusiasts viewed varietals from Napa, Sonoma County and other adjacent regions with outright contempt. That changed virtually overnight on May 24, 1976, after British wine merchant Steven Spurrier invited several California wineries to compete in a blind tasting event known as the Judgment of Paris. The nine French judges awarded top honors to a pair of Napa wines, the 1973 Stag’s Leap Wine Cellars Cabernet Sauvignon and the 1973 Chateau Montelena Chardonnay, forcing wine snobs across the planet to reconsider their opinions of California vintners. Also in 1979, Silver Oak harvested the grapes for its first Napa Valley cabernet sauvignon, and since that time, the company has produced two cabernets every year, one each from Napa Valley and Alexander Valley. 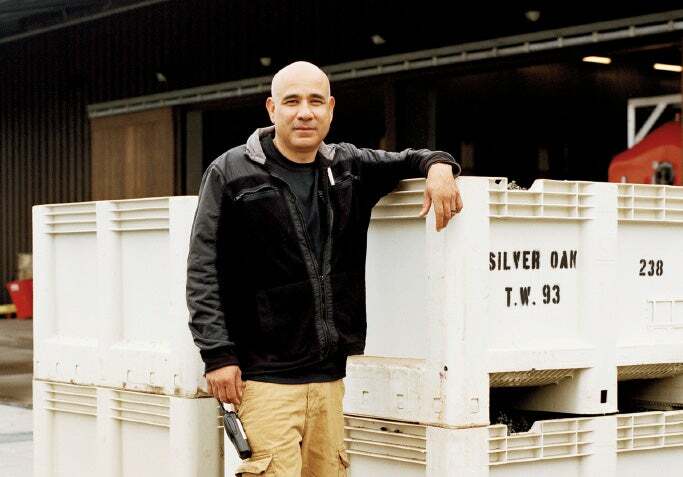 Silver Oak continued acquiring additional properties across the region, including Napa’s Soda Canyon Ranch and Jump Rock along with Red Tail and Miraval Vineyards in Alexander Valley, and in 1999 launched a second brand, Twomey Cellars (named for Ray Duncan’s mother, Velma Twomey Duncan) to offer additional varietals like pinot noir, merlot and sauvignon blanc. Silver Oak now produces approximately 70,000 cases of Alexander Valley Cabernet (priced at $70 per bottle) and 28,000 cases of Napa Valley Cabernet ($110) per year, although numbers fluctuate with each vintage based on the quality and quantity of grapes harvested in its vineyards. Both wines invariably sell out. Silver Oak does not disclose revenue but says that about 25 percent of sales originate directly from its website and tasting rooms. In-state transactions account for another 25 percent, with the other 49 states accounting for 40 percent of sales and international sales making up the remaining 10 percent. Vineyard manager Dave Shein and his dog, Molly, out for inspection. Silver Oak’s popularity across the state, the country and the world benefits all Napa Valley vintners, says Michael Honig, president of Rutherford, Calif.-based Honig Vineyard & Winery. Silver Oak commemorates the release of each new cabernet with an open house at its Oakville winery. On this absolutely flawless Napa summer day, the company is unveiling its 2011 Alexander Valley vintage: For a $50 admission fee, guests enjoy bottomless glasses of cabernet as well as live music and food from local celebrity chefs Charlie Palmer and Masaharu Morimoto. The Duncans and other Silver Oak executives are on hand to field questions, pour wine and even autograph bottles for adoring fans. This summer’s celebration reaches its emotional climax when members of the Duncan family -- including patriarch Ray, now 85; David; and his brother Tim, Silver Oak’s executive vice president and managing partner of Twomey Cellars -- award a 12-liter Balthazar bottle of Alexander Valley 1991 to Dennis Hein, an Omaha superfan marking his 50th consecutive Release Day visit. The limited-edition Balthazar, equivalent to 16 standard bottles of wine, is signed by the Duncans; its label also bears the signature of Justin Meyer, who retired in 2001 due to health problems, selling his half of Silver Oak to the Duncans for a reported $110 million. Meyer died in 2002, the same year Ray Duncan asked David, who had been named president of Duncan Oil, to relocate from Denver to Napa Valley to assume day-to-day control of Silver Oak’s operations. Duncan’s leadership faced its first real test on New Year’s Day 2006, when water from the Napa River flooded Bonny’s Chai. The facility burned to the ground five weeks later, a mere 48 hours before the Release Day event launching the 2001 Napa Valley Cabernet. Silver Oak wasted no time restoring normalcy: It held the open house anyway, then began plotting its comeback. Quality control: Cellar master Joe Ramirez. Silver Oak constructed the new Oakville winery from 550 tons of 4-inch-thick stone reclaimed from a 115-year-old dismantled flour mill in Coffeyville, Kan., elevating the property 4.5 feet above the flood plain to avoid further conflict with the Napa River. Contractors installed close to 1,500 solar panels to power the site, which touts amenities such as a tasting bar built from stacked American white oak 4-by-4s salvaged from a 182-year-old Missouri barn and a glasshouse wine library containing bottles dating back to the original 1972 vintage. Silver Oak additionally introduced a range of updated winemaking and bottling equipment, including dozens of stainless- steel, temperature-controlled fermentation tanks of a variety of sizes, some with each with the capacity to hold 4,500 gallons of wine. The improvements did not stop after the winery reopened in fall 2008. The following year, David Duncan and Daniel Baron— Silver Oak’s director of winemaking since 2001 -- implemented a method called “berry sensory analysis” in an effort to better pinpoint fruit maturity and guarantee that it’s harvested at peak ripeness. Berry sensory analysis employs a series of tests using sight, touch and taste to assess a grape’s softness, color, pulp, seeds and skin; each element is awarded a score from 1 (underripe) to 6 (overripe), with a score of 4 denoting optimal ripeness. During growing season, Silver Oak staffers evaluate grapes several times per week, in some cases even multiple times per day, and once their scores start coming up as 4s, harvesting begins. Silver Oak’s vineyards also rely on sap-flow sensor technology developed by Oakland-based startup Fruition Sciences. Sap-flow sensors -- essentially cuffs attached around the vine -- monitor how the vineyard responds to environmental conditions, wirelessly transmitting real-time data every 15 minutes. Fruition’s proprietary algorithms analyze and process the data, making it available to wineries through a web-based interface that lets them track parameters including vine stress (an estimate of plant- water deficit) and transpiration (the volume of water released by the plant’s leaves). Within the wine industry, Silver Oak’s thirst for new information and ideas is rarer than a bottle of 1934 Domaine de la Romanee Conti Richebourg. When the accumulated data tells Silver Oak that harvest time has arrived, its vineyard crew picks between 40 and 45 tons of grapes daily, says Dave Shein, who manages the company’s Napa Valley acreage. Each team of eight begins picking around 4 a.m. to avoid peak sun hours. All grapes are harvested by hand with curved knives, one cluster at a time, and deposited into lug boxes carrying about 40 pounds of fruit. The contents of those boxes are dumped into a half-ton macro-bin and transported by tractor to the winery, where they’re sorted, destemmed and crushed. After 14 to 21 days in fermentation tanks, followed by six weeks of malolactic fermentation, the wine is siphoned away from sediment and blended, then transferred to barrels -- where it spends the next 24 months -- and finally bottled, where it continues to age. Four decades on from the Judgment of Paris, California now accounts for 90 percent of all U.S. wine exports, translating to statewide winery revenue of $24.6 billion in 2014. In all, California sold 269 million cases of wine in the U.S. and overseas last year, up 3.7 percent over 2013. The state is home to more than 3,900 wineries -- about 47 percent of the nationwide total -- and the most desirable vineyard properties rarely change hands. When Sausal Vineyard & Winery came onto the market, the opportunity was simply too good to pass up, says David Duncan. 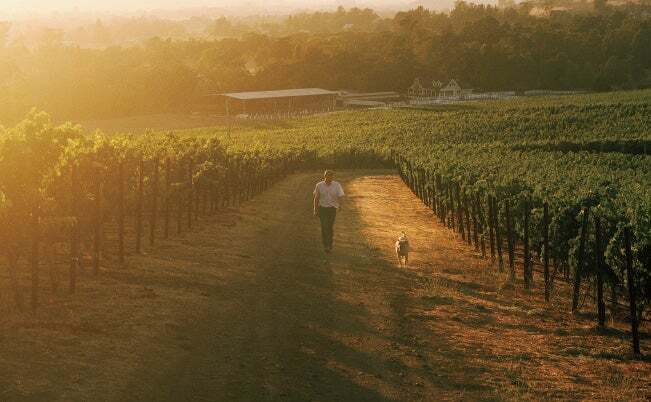 The Alexander Valley site, owned since 1956 by the venerable Demostene winemaking family, is home to a 113-acre vineyard dominated by zinfandel vines, some dating back to 1877. As of press time, Silver Oak is still finishing the blueprints and securing the building permits for the new winery, but Duncan is thinking big. Solar panels will power the facility, mirroring the Oakville site, but the Alexander Valley winery also will introduce a so-called “purple pipe” that will drain water used to wash fermentation tanks and other equipment into a membrane bioreactor, where the water is processed for reuse. Silver Oak additionally would like to eschew PVC in all electrical wiring, turning to materials that are not petroleum-based. Silver Oak isn’t limiting its acquisitions to land. In May the company purchased Higbee, Mo.-based A&K Cooperage, the longtime manufacturer of its 59-gallon American oak barrels, becoming the first North American winery to own and operate its cooperage. Silver Oak initially took a 50 percent stake in A&K in 2000, and the two firms jointly bought several hundred acres of Missouri oak timberland. Each acre yields approximately one barrel per year; the wood is then aged up to two years and toasted during assembly -- the lighter the toasting, the more the barrels impart their natural oak flavor and tannins. Owning its cooperage increases the control Silver Oak can exert over the quality and consistency of its wine. The one thing it still can’t control is time: It takes just as long to produce a bottle of cabernet today as it did in 1972. There’s no way to accelerate the process. And that’s just fine with Silver Oak. Time is secondary. What matters most is timelessness.